hope you all won't be disapointed, but I uped the drawing style. 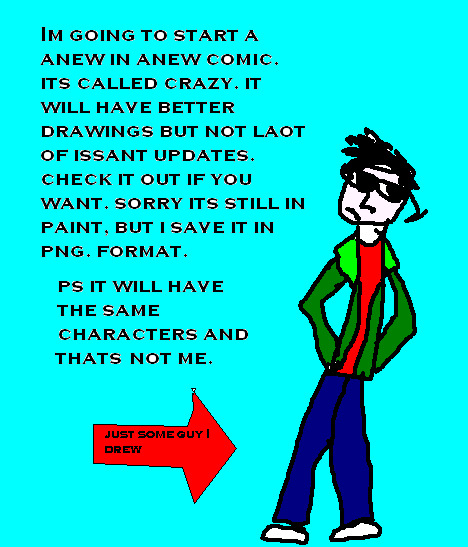 kinda its still on ms paint. sorry go to it and see what think there is going to be a drawing there. hope you guys like it. At least fill in the white gaps in the lettering. and don't use bright blue. It's an unsettling color for a background. At least it is for me. hay its a start.. we all got to start some where..and you get better the more you do..I'll look back on you from time to time i got a soft spot for dragons.. Drawing and posting thats the key not which program you use. Lotsa folk talk comics Your doing it. The fire Drakes were hired By the way don't tell anyone Shh.